The CamKing is a brand everyone will know and appreciate. 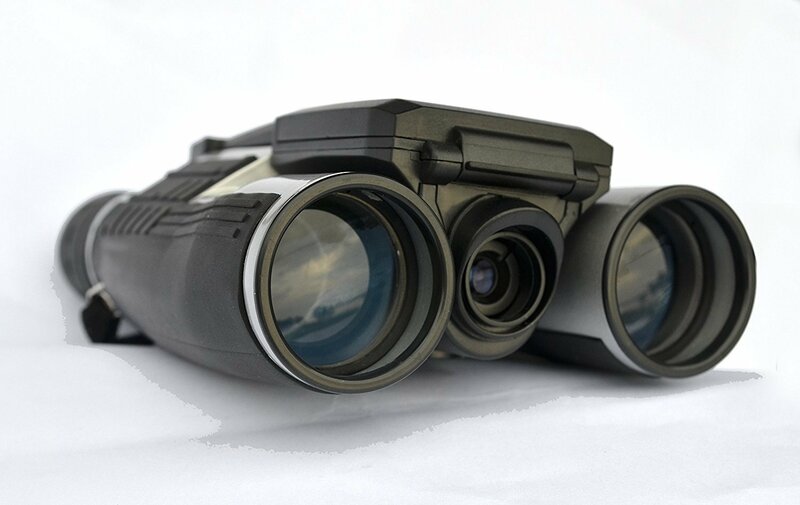 This binocular with a built-in camera is great for any outdoor activity such as hunting and fishing birdwatching etc and it would work for outdoor surveillance jobs too. The CamKing adopts a black and silver look which is a common theme in any binoculars with a central black piece moving into silver hinges which then stretch into black arms. Again the LCD screen is 2 inches and it is interesting to note that all three of these binoculars with cameras have opted for the traditional LCD screen, as opposed to an LED one. The LCD screen is great because of the photo count tracking it makes use of. The screen pops up in the middle of the midsection, in fact when it is folded down it is virtually invisible. It shows you exactly what you see through the binoculars as its pick up it is sandwiched between the lenses of the binoculars. This means if you focus on the detail of something 500 yards away the picture will show what you are seeing through the binoculars, not what you can see with your naked eye. There is the now familiar to buttons on the top of the binoculars to operate the camera and the memory card slot as well as the micro USB slot between the eyepieces. A further two buttons finish the camera controls; these are situated under the screen and are only visible when the screen is open. There are two modes you can make use of eg Photo Mode and Video Mode. There is also a replay mode to review the different photos and videos recorded. Both arms on the camera binoculars can be moved to ensure they are a comfortable fit on your eyes. This adjusts the width. Then, just as with any other binoculars you close one eye and set the focus with the large, central focusing knob. Once this is done you can open the other eye and fine-tune the focus. Your binoculars with a camera are then ready to use, like a camera or just binoculars. It arrives with a comprehensive instruction manual, the charging / downloading cable, neck strap and a soft cloth for cleaning your lenses. It measures 5 inches by 4 inches with a depth of 3 inches and weighs just under a pound. 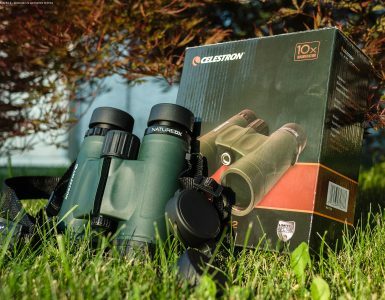 You will benefit from a magnification of x12 and an objective lens of 32mm, designed to let in as much light as possible while keeping these best digital camera binoculars within the compact range. The field of view is 96 meters at 1,000 meters which is good if you are hunting or bird watching. They will even give good results if you are planning to watch the next game with them. The exit pupil diameter is 2.08 with an exit pupil distance of 12mm. The near focus is also good; you should be able to clearly see items just 4 meters away from you. The video is again an AVI format with pictures in JPEG. Image resolution is a satisfactory 1280 x 960 although you can reduce it to 640 x 480 to extend your memory space. However, the picture quality is at 1.3 megapixels. Whilst this is adequate you will notice the difference between it and videos that you record on a digital camera or your cell phone. 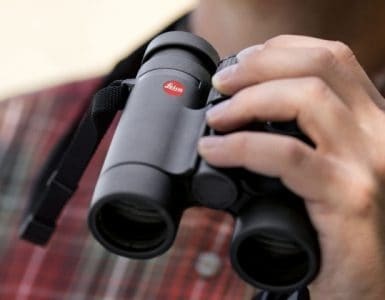 The binoculars have a lithium battery which will need to be recharged by plugging the binoculars with the built-in camera into your computer or a mains adapter. You can also put it on a tripod but you will need to purchase an adaptor separately. It is worth noting that there is built-in memory on this camera with binoculars, however, it will be advisable to make use of an external memory card as the internal memory is insufficient. Although these binoculars with a built-in camera are adequate, there’s still a lot of other options available for you to purchase or peruse. We recommend looking at our 10 Best Digital Camera Binoculars of 2019 List for more. But, not to take away from the CamKing, one should remember it has great value in terms of all the excellent feedback it receives. The CamKing is thus a great choice for any outdoor lover, sports enthusiast or adventure seeker.